AFL and NRL clubs are investing in a new eight-team national netball competition to be broadcast in prime time on free-to-air television from next year, according to media reports. 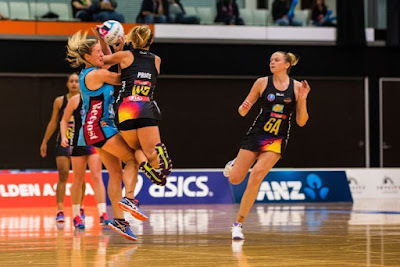 The reports say the existing trans-Tasman competition will split, with the five current Australian teams - Adelaide Thunderbirds, Melbourne Vixens, NSW Swifts, Queensland Firebirds and West Coast Fever - switching to the new league along with three extra teams. Fairfax reported that the new teams are likely to be a Sunshine Coast-based side owned by NRL side Melbourne Storm - linked with the club's new academy for league talent at Kawana Waters - plus a second Melbourne team backed by AFL club Collingwood, and a second Sydney-based team. The proposed competition would mirror existing national women's competitions in a number of sports in Australia. Cricket already has an eight-team Women's Big Bash League in cities around Australia, and in soccer the W-League has a nine-team competition featuring the same Australian teams that compete in the men's A-League. The AFL has announced plans for a planned eight-team women's competition starting next year, although league chief executive Gillon McLachlan has refused to rule out the possibility the final number of teams could reach 10. Reports say that the Nine Network (TV) and Telstra (digital) are expected to sign contracts for broadcast rights to the new netball league. Netball New Zealand and Netball Australia released a joint statement on Wednesday, neither confirming nor denying the story of the new national league. "Netball New Zealand (NNZ) and Netball Australia (NA) are surprised by the speculation and information that was published in Australian media today," they said in the statement. "We are close to reaching agreement with key parties in regard to the shape and format of the 2017 competition, and look forward to making a joint announcement next week."